The Bulgarian man, who set himself on fire in the southern town of Smolyan on Wednesday, died Friday afternoon, doctors announced. Ventsislav Kozarev, 47, set himself on fire in front of a retail store in the Bulgarian mountain town of Smolyan early on Wednesday and his condition remained very critical until his death. 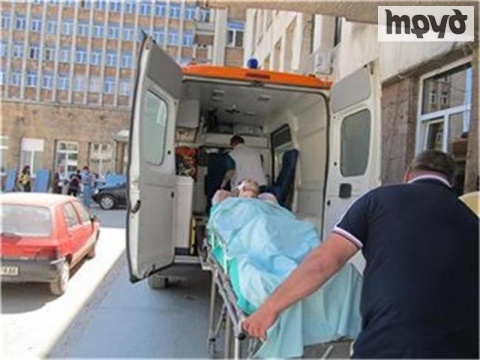 He was rushed to a specialized hospital in the second-biggest Bulgarian city of Plovdiv in a serious condition with third-degree burns over 80 per cent of his body. According to unconfirmed information the man had personal motives and was desperate over a recent divorce. Bulgaria has witnessed an unprecedented wave of self-immolations recently, with at least seven people setting themselves on fire since mid-February. Six of them proved fatal. Recent protests throughout the EU's poorest nation forced the previous government to resign in February.